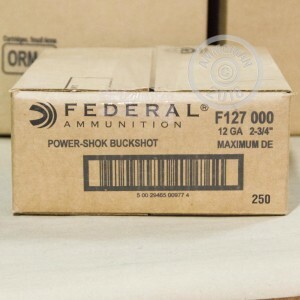 These Federal Power-Shok shells deliver devastating terminal performance thanks to their 000 buck loads. 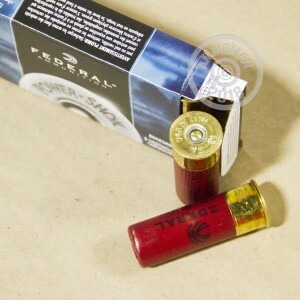 Each 2-3/4" shell in this box of 5 fires 8 pellets at 1,325 feet per second, producing slightly better penetration than 00 buck against deer and other game. 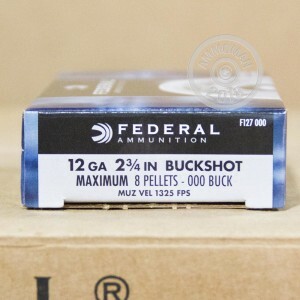 Federal Power-Shok ammunition is popular among hunters all over the US thanks to its reasonable price point and dependable performance. It is loaded at Federal's headquarters in Anoka, Minnesota. Remember to place an order for over $99 at AmmoMan.com to get free shipping!